Dr. Bennett is an Assistant Professor of Radiology and Dr. El-Khoury is a Professor of Radiology in the Department of Radiology, University of Iowa Roy J. and Lucille A. Carver College of Medicine, Iowa City, IA. One of the important functions of a radiologist in interpreting musculoskeletal radiographs is to identify a lytic lesion. But once such a lesion is identified, a radiologist must also be able to provide a definitive diagnosis or a reasonable differential diagnosis for the lesion and provide appropriate recommendations to the referring clinician. We will address each of these issues in our approach to lytic bone lesions. 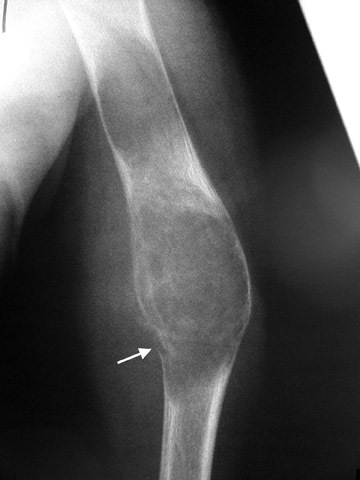 When a lytic lesion is suspected, the radiologist must keep in mind the possibility of a normal variant, such as a pseudocyst. 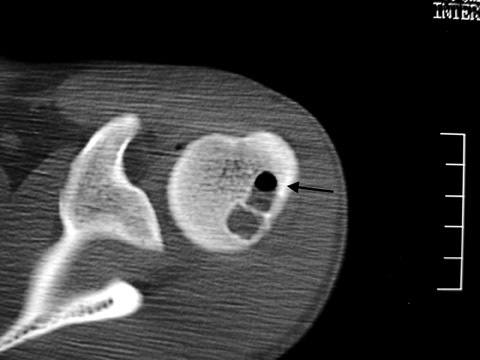 1 Two common locations for pseudocysts are the humeral head and the calcaneus. 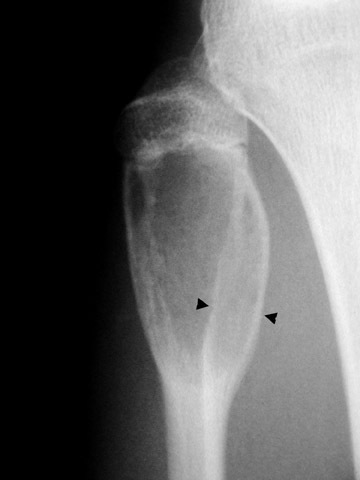 The pseudocyst of the humeral head is typically located in the region of the greater tuberosity, while the pseudocyst of the calcaneus is typically located anteriorly (Figures 1 and 2). 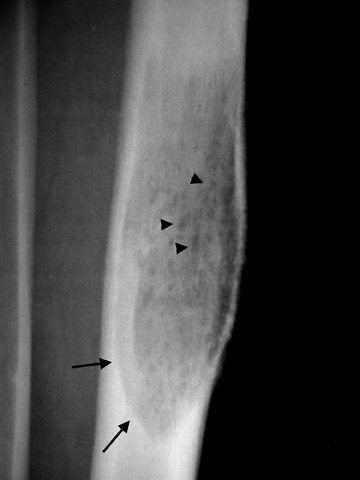 A pseudocyst is a region of relatively low stress within a bone resulting in trabecular bone formation that is not as pronounced as in higher stress areas. This area of relatively lower stress develops into an apparent lytic lesion, which is actually an area of trabecular rarefaction. 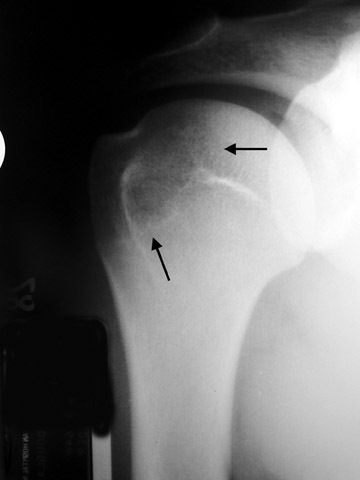 When this area of trabecular rarefaction is visually compared with the surrounding bone that contains more prominent trabeculae, one sees an apparent lytic lesion or the so-called pseudocyst. 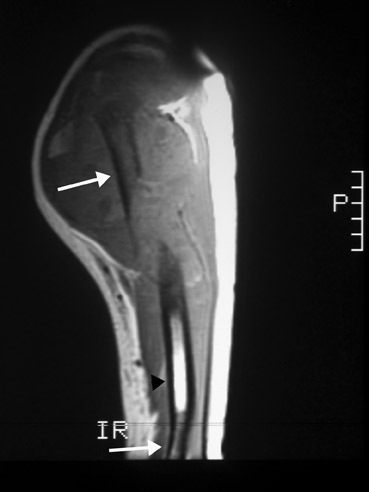 1 On magnetic resonance imaging (MRI), a pseudocyst has normal marrow signal, since it is a normal variant. Another useful tool in identifying subtle lytic lesions is to compare current studies with previous radiographs or to compare them with images of the contralateral side. Comparison with prior films may help to identify subtle focal changes, which, for the less experienced radiologist, aids in the identification of a new lytic lesion. Literature has also shown that comparison with prior studies improves the diagnostic accuracy of the interpretation. 2 Comparison with the contralateral side should also be made when these radiographs are readily available. Examples of studies with readily available contralateral structures include pelvic radiographs and skeletal surveys. 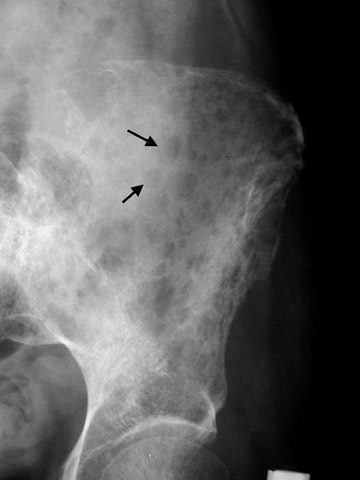 On radiographs of the pelvis, one hemipelvis can be readily compared with the other to more easily and confidently identify subtle lytic lesions, cortical destruction, or periosteal reaction. When interpreting skeletal surveys, a radiologist should also use available studies of the contralateral extremity for comparison purposes. The next step is to examine the lesion to see if it has a pathognomonic appearance and/or location. 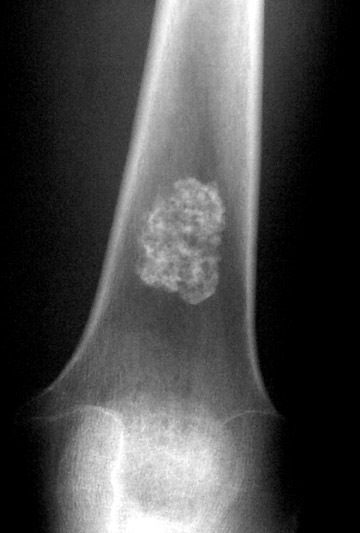 Some lytic lesions have a characteristic radiographic appearance (including matrix) and/or location that are inherently diagnostic. 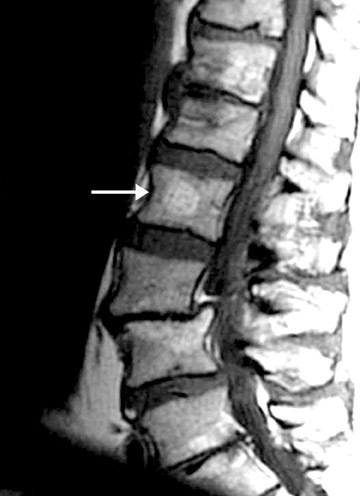 A few examples include: a corduroy vertebral body (hemangioma; Figure 3), a fallen fragment sign (simple bone cyst; Figure 4), intralesional gas in a juxta-articular lesion (subchondral cyst, such as a degenerative cyst or intraosseous ganglion cyst; Figure 5), an enlarged bone with coarsened trabeculae and a thickened cortex (Paget's disease; Figure 6), chondroid matrix in a geographic lytic lesion in the hand (enchondroma; Figure 7), vertebra plana in an otherwise healthy child (Langerhan's cell histiocytosis; Figure 8), and the cockade sign in the calcaneus (intraosseous lipoma; Figure 9). One must become familiar with characteristic pathognomonic radiographic signs and appearances of lytic lesions. If the appearance of the lytic lesion is not pathognomonic, such that one cannot give a definitive diagnosis or a succinct differential diagnosis, then the radiologist must determine the aggressiveness of the lesion. Generally speaking, benign lesions can have a quiescent or aggressive appearance, while malignant lesions have an aggressive appearance. Two radiographic characteristics we have found useful in determining the aggressiveness of a lytic lesion are the appearance of the lesion based on the Lodwick classification system and the type of periosteal reaction present. 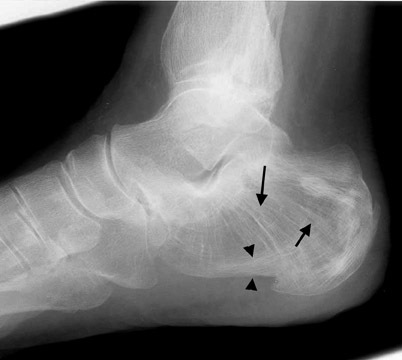 The authors use the revised Lodwick classification system when evaluating the appearance of a lytic lesion because this has been shown to be a reliable and accurate method of determining that certain lesions have a very high likelihood of not being malignant based on their radiographic appearance. 6,7 This is a fairly versatile classification system in that multiple factors important in evaluating lytic bone tumors can be incorporated into a single grading system. The factors incorporated into the revised Lodwick classification system include soft-tissue involvement, pattern of bone destruction, size of lesion, zone of transition, margin sclerosis, and host response. The revised Lodwick classification system consists of five grades labeled IA, IB, IC, II, and III. The grading of a lesion is performed in a sequential four-step manner. 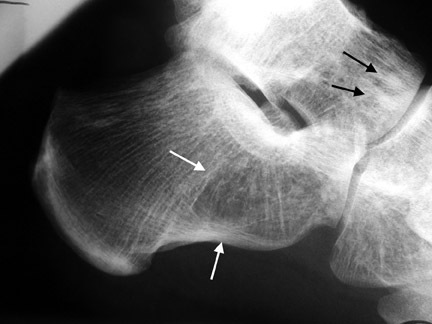 The first step is to determine the type of bone destruction present in the lesion. 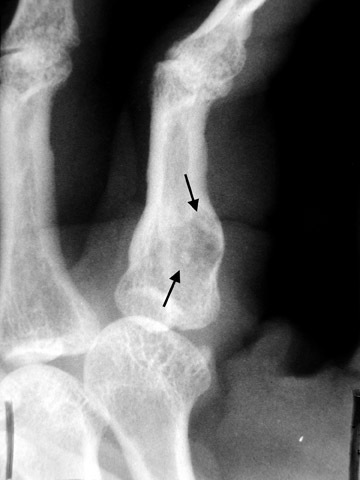 A lesion with geographic destruction would be defined as a lesion having a sharp, clearly defined margin (grade I; Figure 12). Moth-eaten destruction is similar to moth-eaten clothes with holes of destroyed bone. Permeative destruction is an ill-defined, diffuse, somewhat subtle destructive process of bone. Those lytic lesions that are entirely moth-eaten and/or permeative are grade III (Figure 13). Any lytic lesion that is a combination of geographic with moth-eaten and/or permeative destruction is a grade II lesion (Figure 14). If the lesion is grade II or III, then that lesion is classified and is considered malignant until proven otherwise. If the lesion is grade I, then classification proceeds to the second step. Lodwick often found it difficult to differentiate between grade II and III lesions, but it does not really matter because both grades indicate an aggressive lesion that needs further evaluation and/or treatment. The second step is to re-evaluate the margin of the lesion, including any cortex that the lesion abuts. 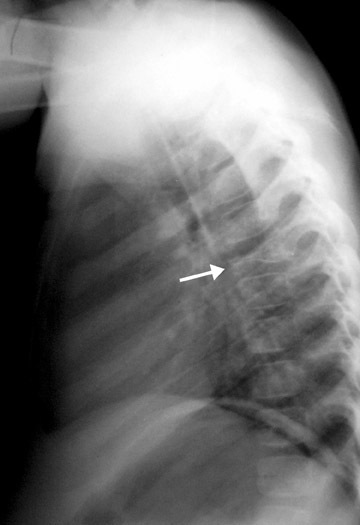 If any of the margins are indistinct, then the lesion is classified as grade IC (Figure 15). Margins that are indistinct should not be confused with moth-eaten/permeative destruction (grade II or III). If the lesion cannot be classified as grade IC, then classification proceeds to the third step. 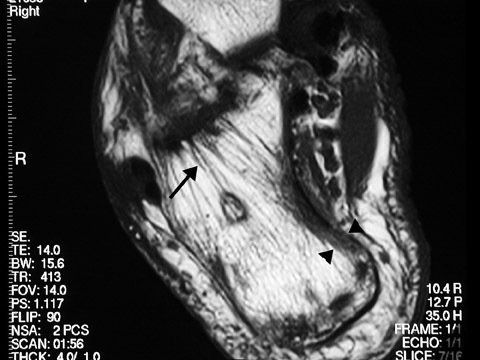 In the third step, the lesion is evaluated for expansion. If an expanded cortical shell is present and it exceeds 1 cm, then the lesion is classified as grade IB (Figure 16). The fourth step consists of evaluating the lesion for the presence of a circumferential sclerotic margin. 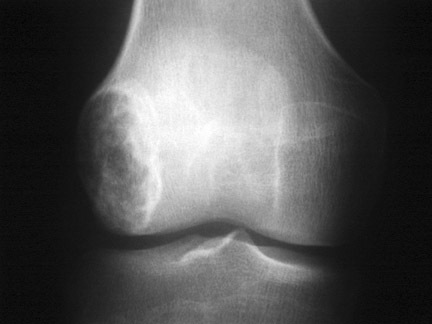 If the lesion has a sclerotic margin, it is classified as grade IA (Figure 12). Those with a nonsclerotic margin are classified as grade IB. Usually, the authors recommend follow-up imaging for lytic lesions that are asymptomatic, have a grade IA appearance, and are found in an otherwise healthy patient. Nonspecific and nonpathognomonic lytic lesions that are grade IB, IC, II, III, or are symptomatic warrant further work-up at the time of discovery. Based on previous studies, the likelihood of malignancy using the revised Lodwick classification (disregarding patient symptoms and whether the lesion is pathognomonic in appearance) is as follows: grade IA is 6%, grade IB is 48%, grade IC is 36%, grade II is 97%, and grade III is 100%. 6,7 If pathognomonic lesions are excluded from the results of these studies, the likelihood of malignancy of grade IA lesions falls to 2% to 4%. If periosteal reaction is present, we classify it as either solid or interrupted (Table 1). 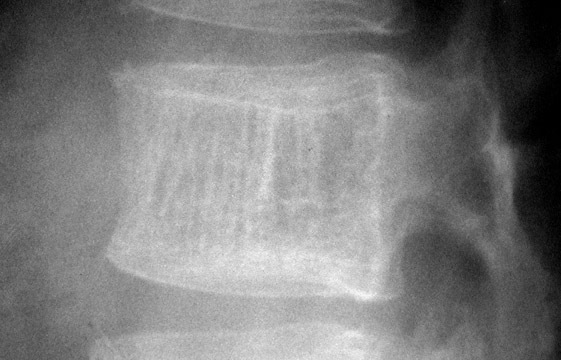 8 Solid periosteal reaction is described as a single layer of new bone thicker than 1 mm and uninterrupted throughout its extent. Interrupted periosteal reaction is simply the laying down of new bone that is interrupted-that is, not continuous or solid. Some examples include sunburst and Codman's triangle. Interrupted periosteal reaction indicates that the associated lesion is aggressive. 8 Those lesions that are not pathognomonic in appearance and have an interrupted periosteal reaction also warrant further work-up because of their higher likelihood of malignancy. 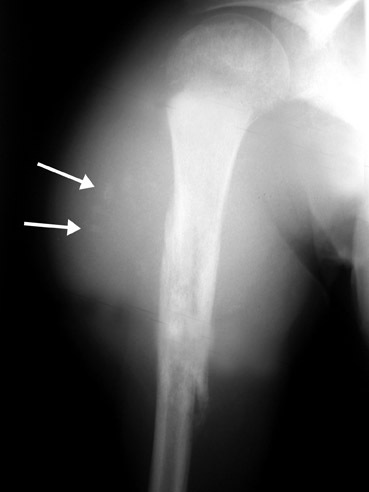 8 It is important to remember that interrupted periosteal reaction is sometimes seen with osteomyelitis. 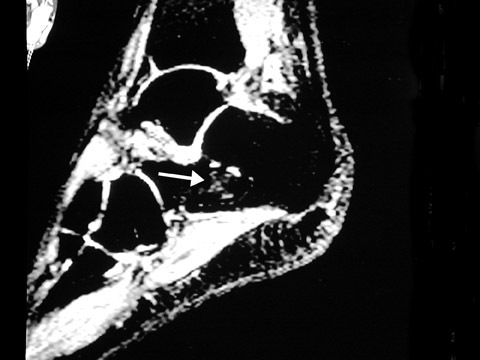 Further work-up recommendations for the aggressive, nonspecific lytic lesion typically consist of MRI and/or computed tomography (CT), a whole-body nuclear medicine bone scan, or even a biopsy. 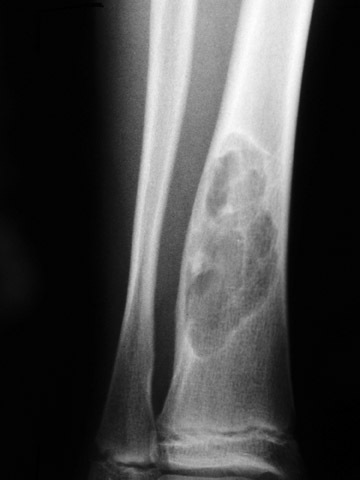 Further work-up is also performed on those lesions that are aggressive and pathognomonic in appearance for malignancy, such as osteosarcoma (osteoid matrix) and chondrosarcoma (chondroid matrix). It should be remembered that further work-up with MRI and nuclear medicine studies is primarily used for lesion staging and/or prebiopsy work-up. 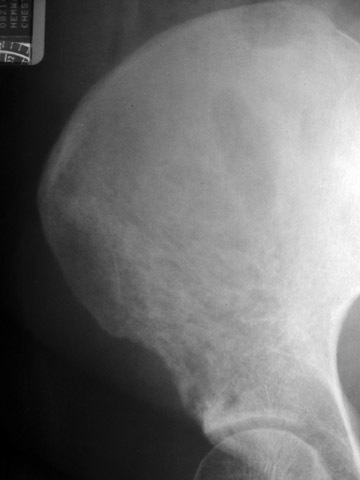 In the vast majority of cases, the key to the diagnosis is in the plain radiographic appearance of the lesion. MRI will also aid in establishing which compartments and structures are involved. 3 The determination of which compartments are involved is important in the decision of the type of treatment or surgery necessary, as well as to determine a biopsy path. In general, a biopsy path should avoid any compartments that are not grossly involved by the neoplasm. 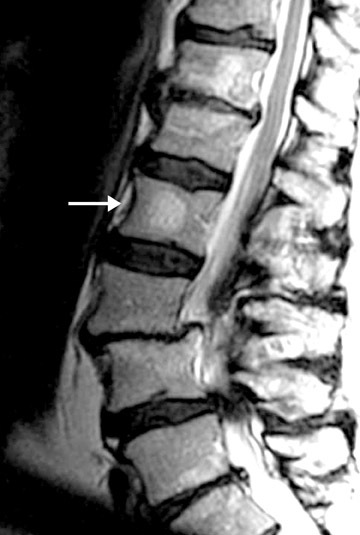 Occasionally, an MRI or a CT examination of a nonspecific lytic lesion will narrow the differential diagnosis. 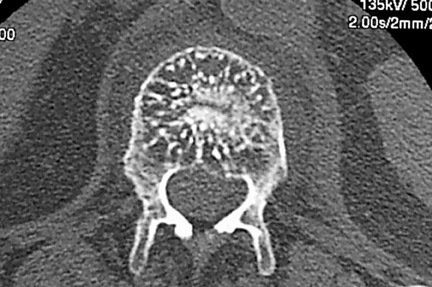 An example of this would be the presence of fluid-fluid levels, which are most commonly found in an aneurysmal bone cyst. 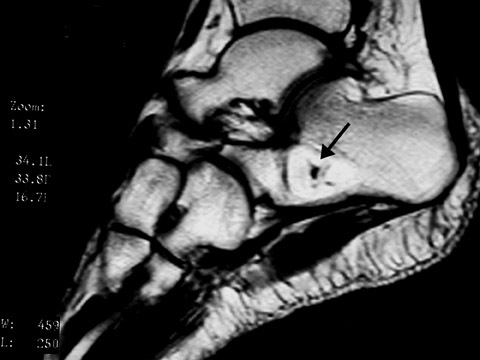 13 Another example would be a fatty tumor seen on MRI in the anterior calcaneus, which is consistent with an intraosseous lipoma (Figure 9). In patients who are claustrophobic or who have a contraindication for MRI, a CT examination is used to evaluate the extent of the lesion. CT is also useful in the evaluation of lesions located in anatomically complex osseous structures, such as the pelvis, scapula, or spine (Figure 3). CT is also useful in identifying mineralization of a matrix. 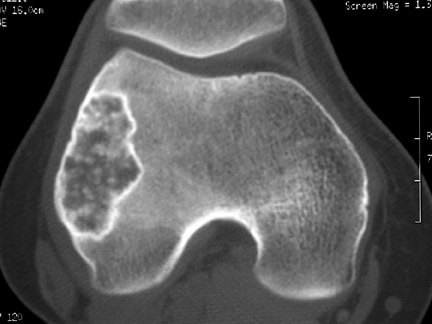 For example, CT would be used to identify chondroid matrix in a suspected chondroblastoma (Figure 18). 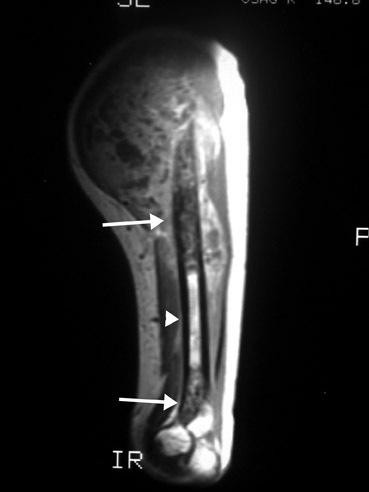 A nuclear medicine bone scan is performed to look for a polyostotic process. If the process is polyostotic, then the differential diagnosis of a nonspecific lytic lesion can be narrowed. For example, the vast majority of polyostotic lytic processes in the elderly would represent either metastasis or multiple myeloma. 3 A bone scan may also identify other lesions that may be more appropriate to biopsy; therefore, the bone scan also plays a role in prebiopsy evaluation. If the lesion is still nonspecific after thorough imaging, image-guided biopsy of the lesion can be performed. The biopsy pathway should be selected in conjunction with the surgeon so that any uninvolved compartments can be avoided and any seeding along the biopsy path can be easily resected during surgery without worsening the patient's outcome or prognosis if the lesion is a primary bone malignancy. 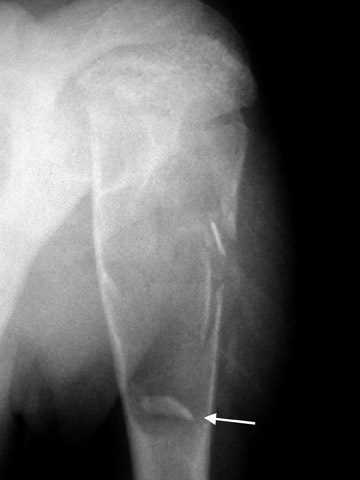 Finally, percutaneous needle biopsy of a chondrosarcoma should be avoided. 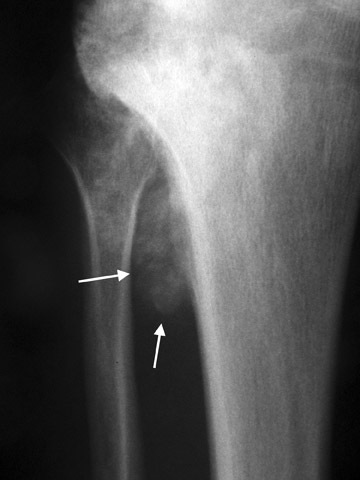 Lytic bone lesions are frequently encountered in a general radiology practice. A rational and systematic approach can often result in a specific diagnosis or a short differential diagnosis. Based on this, a reasonable diagnostic work-up can be prescribed. General approach to lytic bone lesions. Appl Radiol.